Buster Simpson's Ping Pong Plaza provides a place for workers, neighborhood residents and visitors to relax and exercise in the heart of the city. The table is located in what Simpson calls an "outdoor room," defined by walls of bamboo, a red concrete "rug," and an chandelier-like catenary light. 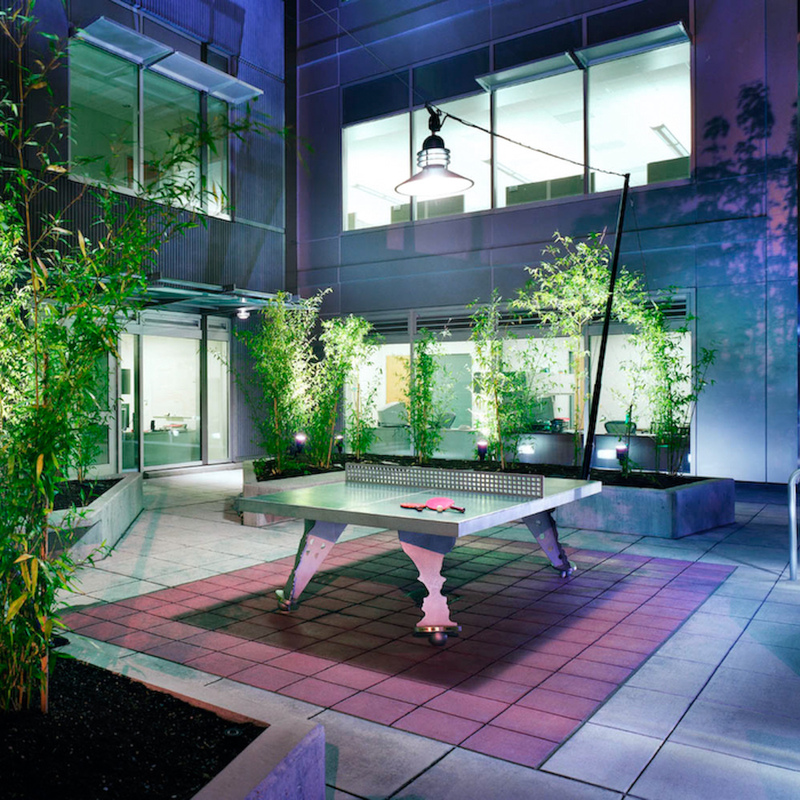 The Ping Pong Table can double as a lunch or meeting table and conforms to regulation Table Tennis dimensions. The table sits on what seem to be heavy, turned dining table legs (since the game was originally played on a dining room table), but upon closer examination each leg reveals itself as a pair of profiles of noted scientists meeting face to face. These paired individuals bounce ideas back and forth, in concert with the action of the ball above.